If you’ve just started a new business, you may not be familiar with LMS or Learning Management System. However, it could benefit your new organization and save you time and money as you attempt to keep your staff educated and trained on the latest innovations and policies in your industry. 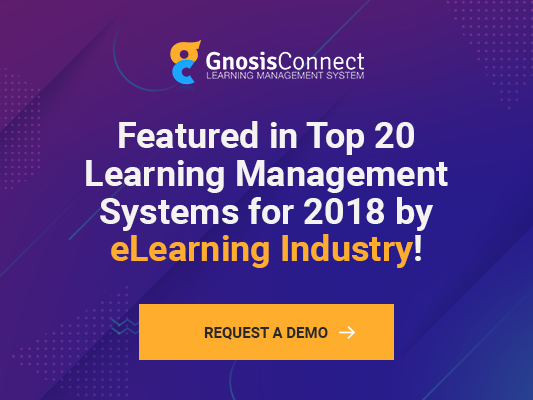 This article provides an introduction to LMS in general and Gnosis Connect for your new business. Thanks to the Internet, employees no longer have to attend seminars or take courses in person. They can do most if not all of their learning online. However, it can get complicated for you as the manager or owner to keep track of what educational courses your employees and have completed and which ones are relevant to your industry. Any business that needs to provide training and continuing education opportunities for its staff can benefit from an LMS. Even a small company just starting out may find one of these systems to help them train the staff. In fact, since more workers wear multiple hats in small companies, ongoing training may be essential. When you choose a Learning Management System, you take control over your employees’ learning. You can create your own courses or add others that have already been developed. You get to select courses which are relevant to your organization and industry. This can be an important component for industries with high regulations. These systems also allow you to keep track of your employees’ education. If your company or the industry requires a certain number of credit hours to remain certified or licensed, the LMS will tell you at a glance how many have been completed and how many they still need. You can create a conference-style course which allows multiple people to attend at once. This option is ideal if you hire remote staff and want to train everyone together. In spite of all the benefits GnosisConnect provides, it’s easy to use and work with various devices, including mobile gadgets. Your staff can learn anytime from anywhere. Instead of spending hours traveling to seminars and classes, they can learn right at work. You also control the quality of education and ensure the information being provided is up to date and relevant for your industry. Even if you’re just starting out and hiring your first employees, an LMS can save time on orientation and on-the-job training by teaching your staff through e-Learning.